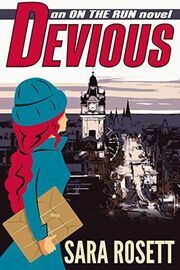 Free-spirited Zoe Andrews has settled into married life and feels she has found her ideal niche working for a company that discreetly recovers lost items for elite clients, but her first assignment, which takes her to Edinburgh to recover a stolen painting, turns out to be more complicated than she expected. Instead of simply getting in touch with contacts in the art world, Zoe finds herself tangled in a web of contradictions. Why would someone steal a not-so-valuable painting, and why was the thief attacked? Zoe’s search to find answers takes her from the ancient stone walls of Edinburgh Castle to the Baroque grandeur of Salzburg as she delves into a decades old mystery with ties to the present.